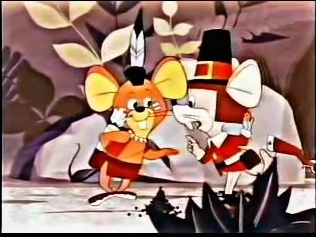 Rankin/Bass‘s only entry into the Thanksgiving animated special sweepstakes demonstrates why they are known for their Christmas specials and why your turkey day traditions include watching the Macy’s parade, the Cowboys and Lions games and even that show where pinched face judges stare at funny looking dogs’ butts, but definitely won’t include Mouse on the Mayflower. Putting aside the dubious narrative choice to cast some filthy vermin as being beneficial to a ship crossing the ocean, the plodding story (and really, it’s more of a thumbnail sketch, but still somehow manages to take forever) of the Pilgrims traveling to the New World, surviving the first winter and having lunch with the locals gives vegetarians a way to finally experience the effects of tryptophan. Though the dull grade school recitation of the history involved is quite dire, worse is the dramatic license taken to invent such incidents as the idiotic scheming of a couple of crooked sailors. These two are excited that a main beam in the ship is cracked because they think the Pilgrims will abandon ship, leaving them to steal gold, but apparently forget they are in the middle of the ocean, so the sinking of the ship might make a getaway problematic. Later, they team up with an evil Native American and his mangy grizzly bear sidekick to form a type of pre-Revolutionary Legion of Doom in an miserable effort to incite a war between the Native Americans and the Pilgrims. More spectacularly ill-advised is the attempt to show a budding romance between John Alden and Priscilla Mullins. 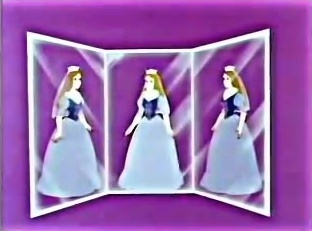 Though much of this storyline is depicted in scenes of John bringing her messages on behalf of the Captain, while she wishes he would speak for himself, the highlight (and most memorably absurd sequence) is when she starts singing about their love during the voyage and fantasizes that she is a Cinderella-type princess, complete with horse drawn coach all illustrated by a silly stylized montage. Most problematic is that John and Priscilla are colorless dullards you don’t care about, no other human characters in the story really matter much and the mouse isn’t exactly Rudolph, Frosty or even Nestor. The hardships are glossed over (the ship is crowded, the winter is cold, there’s some extra crosses in the graveyard, learning to farm was kind of hard) and the Native Americans are drawn in a manner that will likely offend today. 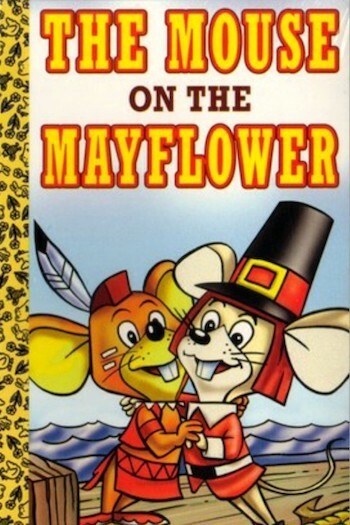 I was simply too stunned to know if I should be triggered when a red mouse decked out in warpaint, mohawk and feather named Thunder and who spoke like Tonto appeared to help out the Pilgrim mouse. The entirely too-long experience left me feeling like someone basted my turkey for hours in salmonella. If you’ve never made the mistake of seeing this one, you have much to be thankful for.